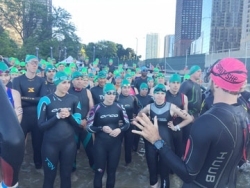 This weekend, the city of Chicago will be taken over by more than 9,000 elite, amateur, and youth triathletes as they descend onto Chicago’s lakefront for the 33rd annual Transamerica Chicago Triathlon on Saturday, Aug. 29th and Sunday, Aug. 30th. 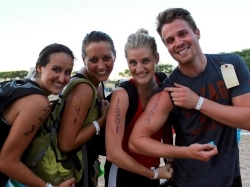 The Chicago Triathlon is the nation’s largest and the fifth oldest triathlon in the world. This year, the triathlon will bring together participants from 46 states and 18 different countries, ranging in ages 7 to 84 years-old. In addition to the International and Sprint distance events, race weekend also consists of the Life Time Kids Triathlon – now in its 25th year – as well as the SuperSprint Triathlon designed for new entrants to the sport. The Life Time Kids Tri is the largest kids triathlon in the country with more than 1,050 participants ranging from ages 7 to 14. The event encourages healthy competition in a fun, safe environment. For more information, visit chicagotriathlon.com.